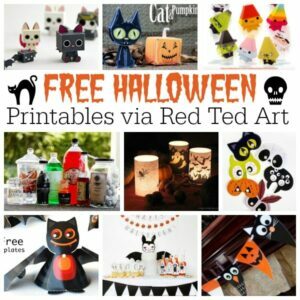 Time for more Free Halloween Printables. 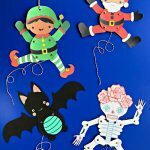 Well.. you may think I have gone a bit BATTY.. Batty about Paper Puppets that is. 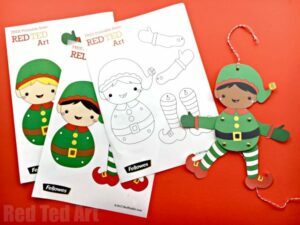 Earlier this month (and yes, it isn’t even December yet), I shared a super cute and easy Elf Paper Puppet Template. 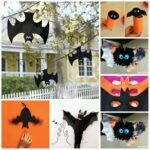 I had so much fun creating it.. that I just had to make another for Halloween.. so here is our cute and easy Bat Paper Puppet. Eeek. Isn’t it adorable? 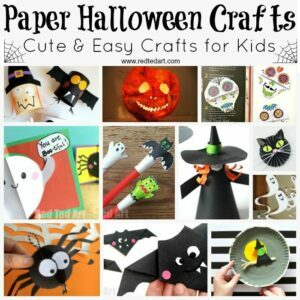 And it flaps it’s wings… a great little Paper Halloween Craft for Kids – I love that you can use it as a Paper Toy, but also as a Halloween Decoration. 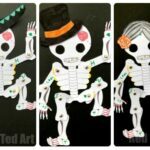 You can create your own designs (I discuss briefly how in the paper puppet video below) or make us of our free paper puppet template. 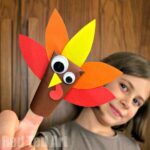 Paper Crafts for Kids ROCK! 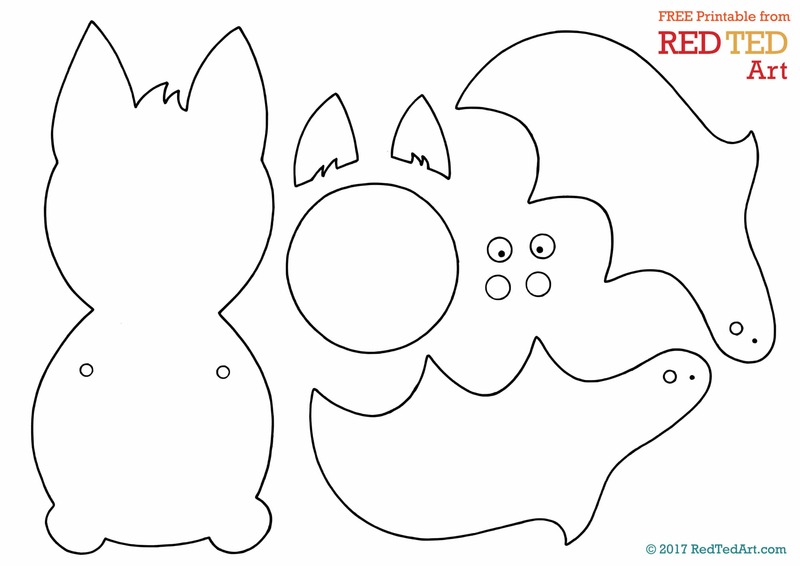 These bat puppets were first shared in October 2017 and have been updated and repbublished for your convenience! 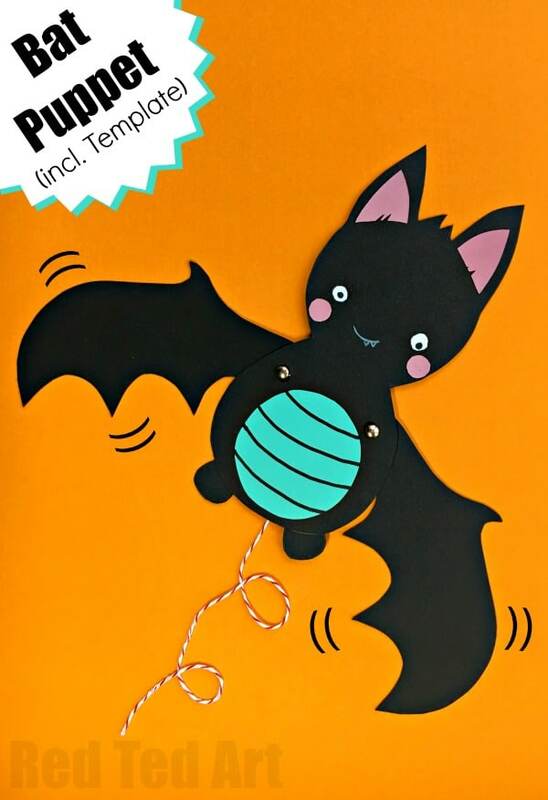 As per usual, I hope you find the short video below useful in making your Bat Paper Puppet!! But I have also added some written instructions for you below! 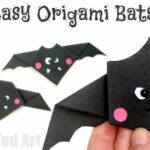 Next glue all your bat’s body pieces together – so the body, eyes, cheeks and tummy. You can add stripes to the tummy for extra detail. With a white or silver pen add the mouth. 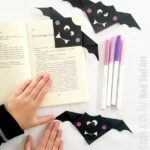 You can also cut out white teeth (again see the Origami Bats for reference). Secure the wing to the body with a brad. Now run the needle through the second wing. Secure the second wing to the body. You are finished. You bat should now flap nicely!!! Enjoy! 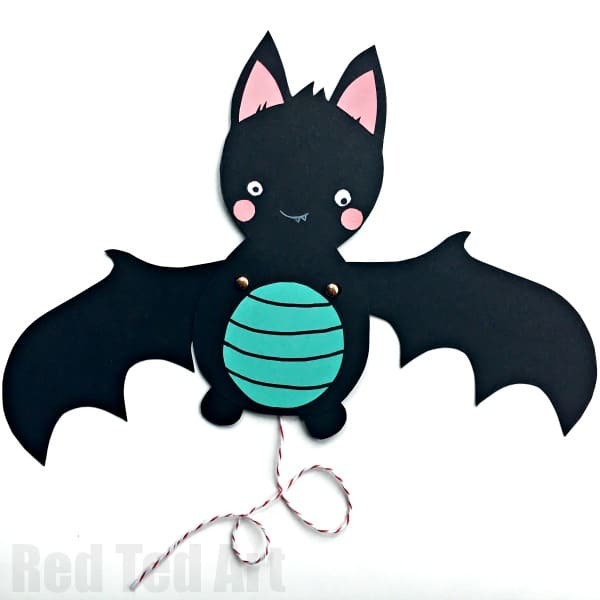 Hope you enjoyed this lovely little Bat Puppet and that the Bat Paper Puppet Template comes in handy. many thanks for the hard work you put in to all your resources. 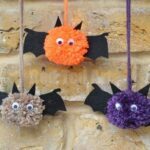 I made the Bats and my kids love them. 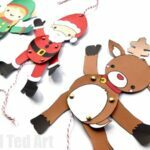 you can make these out of left over lino (floor covering) and they are brilliant! Oh what a great idea! Thank you for sharing that with us! I couldn’t see the video link? I love this little one-saw him on instagram and had to come over! Whoops have added it now!